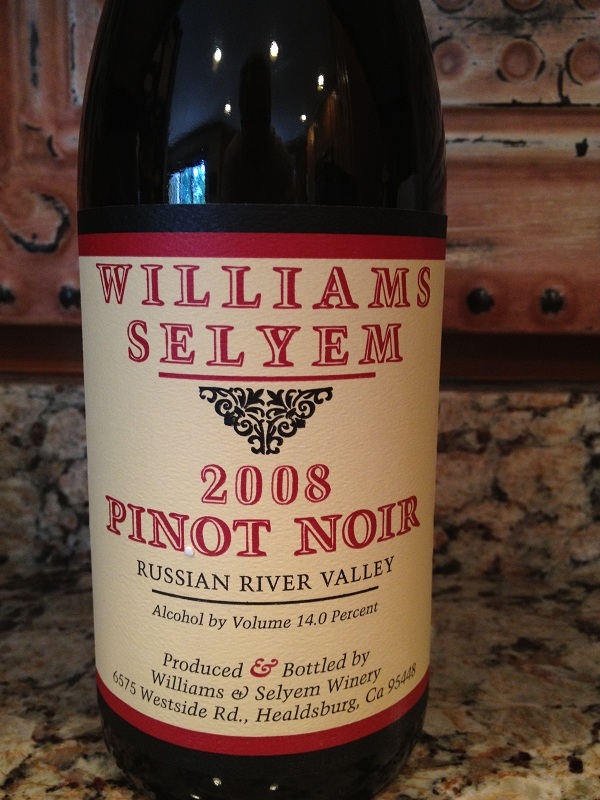 The last time I tried a bottle of Williams Selyem Pinot Noir was last April. Chris and I opened the 2008 Williams Selyem Central Coast Pinot Noir. I have to say it did not go very well. After our first bottle that we had enjoyed some time ago, I believe that the wine became maderized, (oxidized) as it completely changed color and taste. Unfortunately, we had to dump the remaining bottle of Pinot Noir down the drain. This has never happened to us with other Pinot Noir’s or any other wine in general. If you have ideas on what went wrong, please shoot me a note. For the price of the bottle – I would expect nothing but “yummy”! Here is the link to the previous blog if you are interested. A few weeks back we decided to give Williams Selyem another try. I have a couple cases and I do really enjoy their Pinot Noir’s. I hoped that I wouldn’t have another experience like the last time. This time around I chose the same year but a different vineyard. I chose a 2008 Russian River Valley Pinot Noir. The color of the Pinot Noir was Ruby. The color depth was slightly pale but I was not concerned as it is a light bodied wine. 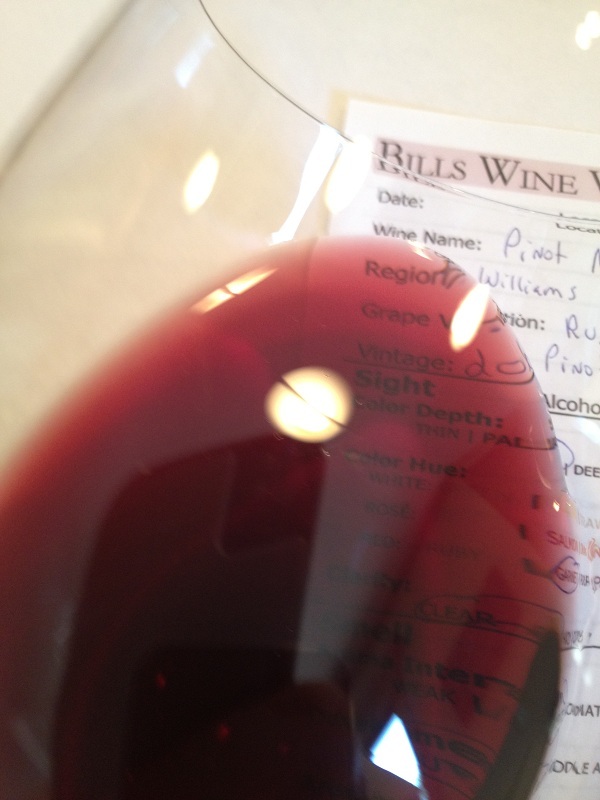 Smelling the Russian River Valley Pinot Noir I noted Red Cherry and Berries, Caramel. As we tasted the wine we tasted Raspberry and Cherry. The tannins were light as expected with a nice medium finish. The light tannins were felt in the middle of my tongue. We were pleased with this Pinot Noir! I decided to allow the Williams Selyem Pinot Noir sit a little bit in the bottle – just to see if it would maderize. As hoped, it held up and and we finished the bottle. We rated the 2008 Russian River Valley Pinot Noir three glasses. I look forward to having another glass in the future.